Our friends at Courtney Buses have published a helpful Bracknell Ale & Cider Festival shuttle bus timetable which should make planning your journey to and from Bracknell Rugby Club very straightforward. Buses to the site at Lily Hill Park will run from Bracknell Bus Station opposite the Railway Station from 11:50am and every 30 minutes until 10:50pm. The return bus to the station will run from midday and every half an hour until 11pm. Rugby Club to Bracknell Railway Station: 30 and 00 past the hour from midday to 11pm. There will be a charge to passengers however which will be £2.40 single and £3.70 return, however please note concession passes are not valid. Whichever way you look at it, we think you will agree this is much cheaper than a return taxi on a bank holiday weekend! And it reduces to £2.50 return after 6pm. 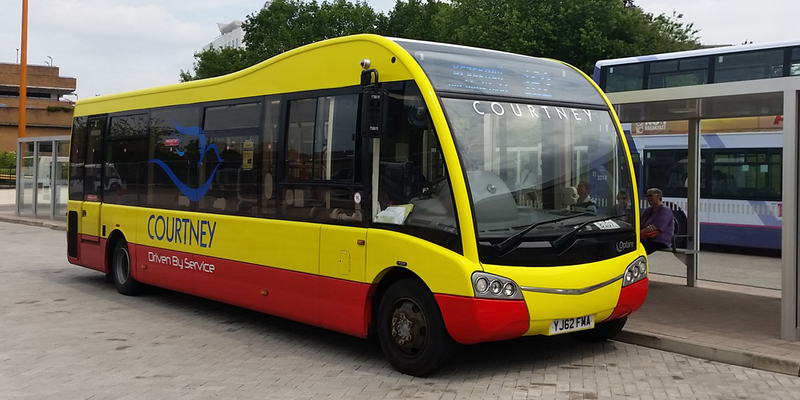 In addition, the ticket can now be used on all Courtney Bus services in Bracknell. Find out what’s on at Bracknell Ale & Cider Festival 2018 including how to buy tickets. 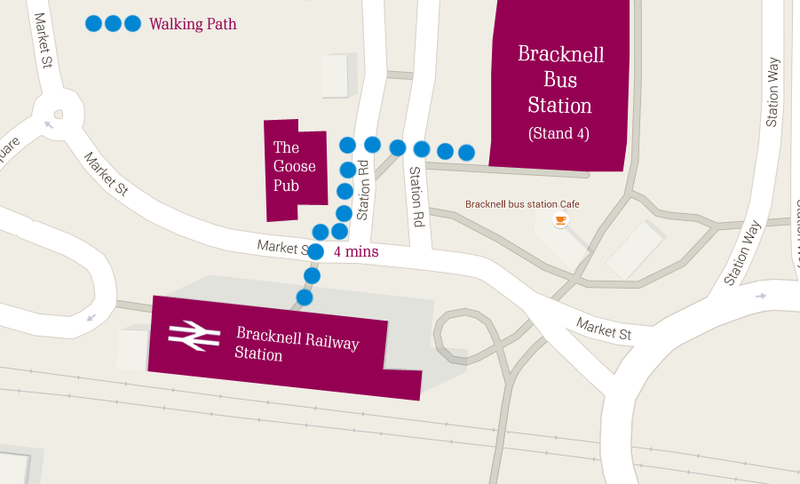 Here’s our quick guide to finding the bus station from Bracknell Railway Station (please note The Goose Pub is now called The Market Inn). 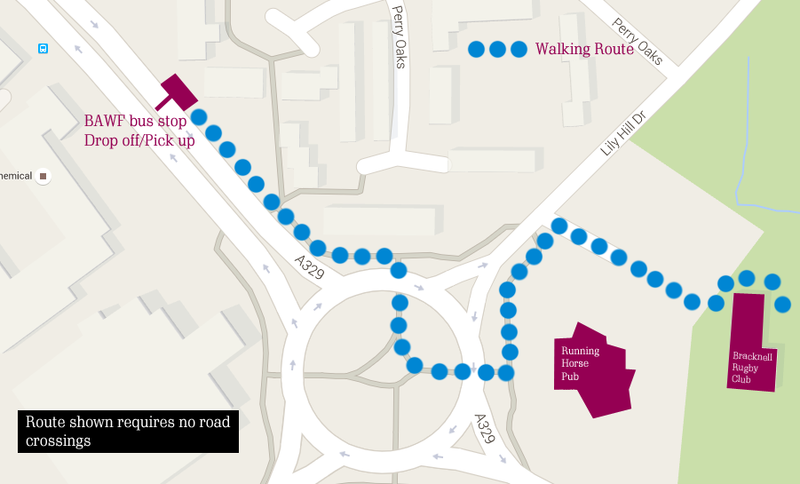 How to find the bus station from Bracknell Railway Station. Click image for bigger version. And here’s how you get to the Rugby Club after being dropped off at the Running Horse roundabout. How to get to Bracknell Rugby Club. Click image for bigger version. Want to come to Bracknell Ale & Cider Festival 2019? Advance tickets are on sale now starting at just £1. 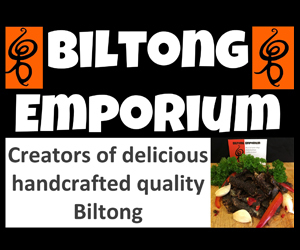 Buy them now here. Can you put up a poster for Bracknell Ale & Cider Festival 2019?